Can a WR step up? Nelson? You, maybe? The Philadelphia Eagles' first preseason game is upon us, and all eyes will be on a certain rookie quarterback that most fans have never seen in action. Here are five things we'll be watching for tonight. Duh. Wentz will play the majority of the second half, according to Doug Pederson. That means he'll be up against the Buccaneers' third stringers. It also means he'll be playing with third stringers. It's a near certainty that there will be a wild overreaction to Wentz's play Thursday night. If he plays well, YOU GOTTA START HIM. If he doesn't, HE'S A BUST. I'm going to go out on a limb and say that Wentz's first career preseason game will have little to no impact on his career as whole, barring some kind of devastating injury. If he stays upright, call it win. In terms of what to expect from Wentz, this morning we listed his strengths and weaknesses through the first two weeks of training camp. The Eagles' defensive line is one of the strengths of the team, and it is going to be enormously important to the success of the overall defense, as the front four is often going to be asked to get to the quarterback without the help of blitzers. The player who has the most to gain from the scheme change from a two-gapping 3-4 to an attack-style 4-3 is Vinny Curry. Tonight he'll get his first opportunity to hit a quarterback. 3) What will the Eagles do at RT? It's to be determined whether Lane Johnson will face a lengthy suspension for a second failed test for performance enhancing drugs, or not. How the Eagles line up along the offensive line could provide a window into what the Eagles think Johnson's fate will be. For example, if you see Dennis Kelly getting reps with the first team offense at RT, that would be a bad sign. During training camp, Caleb Sturgis has outperformed Cody Parkey. Sturgis was 28 of 31 in camp, while Parkey was 23 of 31. That said, more weight is placed on preseason game kicks, but Parkey has some ground to make up. 5) Can a receiver do something? Jordan Matthews will be out tonight, while he recovers from a knee injury sustained during practice on a hard hit from Jalen Mills. 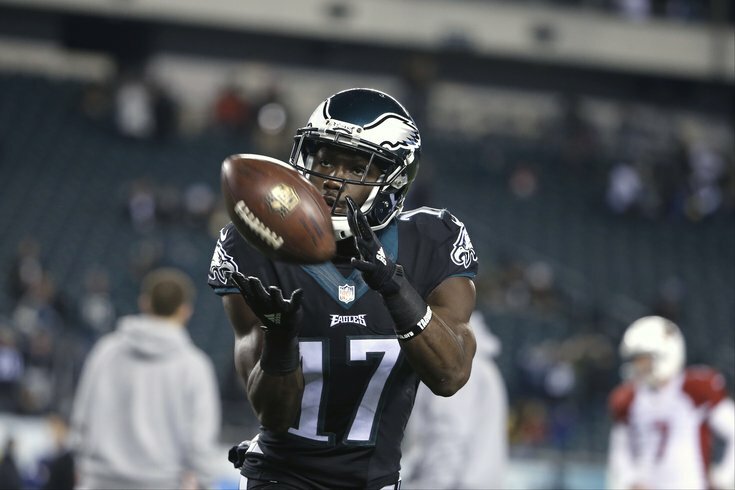 That leaves plenty of opportunity for the Eagles' cluster of "guys" at receiver to step up. Can Nelson Agholor, Rueben Randle, Chris Givens, Josh Huff, or an undrafted guy like Paul Turner separate from the pack?